With the Brockhage BPG-25 lockpicking has never been so easy! 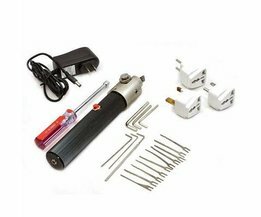 For the best possible results and tidy lockpicking operations, you want to use the best materials. So, Brockhage is the solution! 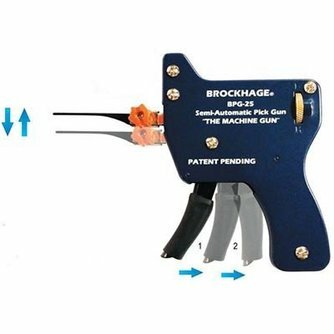 This Brockhage lockpick gun is developed to meet all these demands. 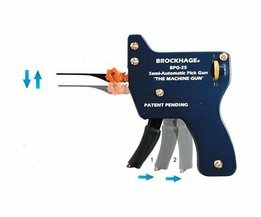 The Brockhage BPG-25 comes with 15 needles, instead of just 3. In conclusion, this gun does everything, so no hidden secrets. 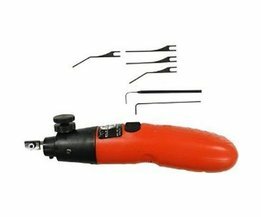 In addition, these needles can be attached to a screw wheel, so that there is no need to use a screwdriver anymore. 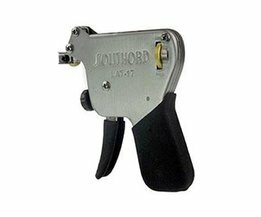 The functionality of the lockpick gun is also greatly improved. For example, the needles can well move vertically, rather than in a corner, which means that locks can be cracked faster. By pulling the trigger you do two movements into one and the gun is more user-friendly through a fine rubber handle. This helps for a more finer and precise work. The beautiful hard-case package fits perfectly with the luxurious feel of this gun. An unmissable device for the lockpicker that goes with the times. 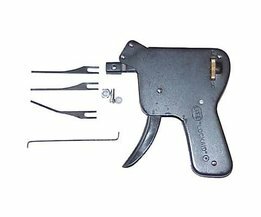 This auto pick gun is a delight to open all locks that I have tried. Great design smooth action.